One of my dear college friends tied the knot in Scottsdale, Arizona this Spring, and it was my first time exploring the American West! Seriously, I felt like I was on the set of an old John Wayne western that I had seen so many times at my grandparents' house, laughing when I saw cacti on the side of the road, and marveling at how different the architecture is 1,800 miles away from my hometown. Aside from the beautiful wedding and blushing bride, it was so refreshing to catch up with college friends. Stevie and I went to Princeton, and our friends literally scattered the globe after graduation. (Which may be great for couch surfing adventures, but that's about it.) We find ways to keep in touch despite the distance, and when we do find ourselves in the same room with these lifelong friends—sometimes with months or years in between—those reunions are sweeter than honey. Cristina is one such friend. Since we last saw each other, she's married her sweetheart, settled in Texas, graduated from law school, and has become an amazing mom to one of the most adorable babies I've ever laid eyes on. 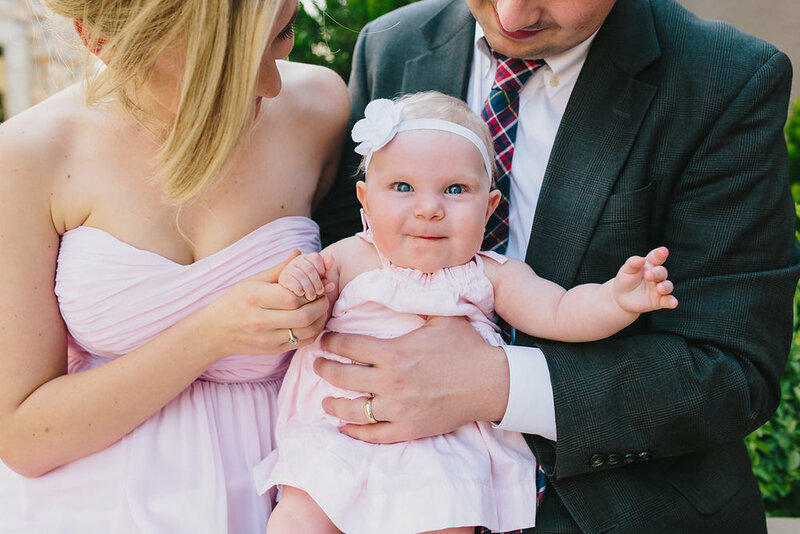 We snapped a few photos in between wedding festivities, and just look at Lucy. 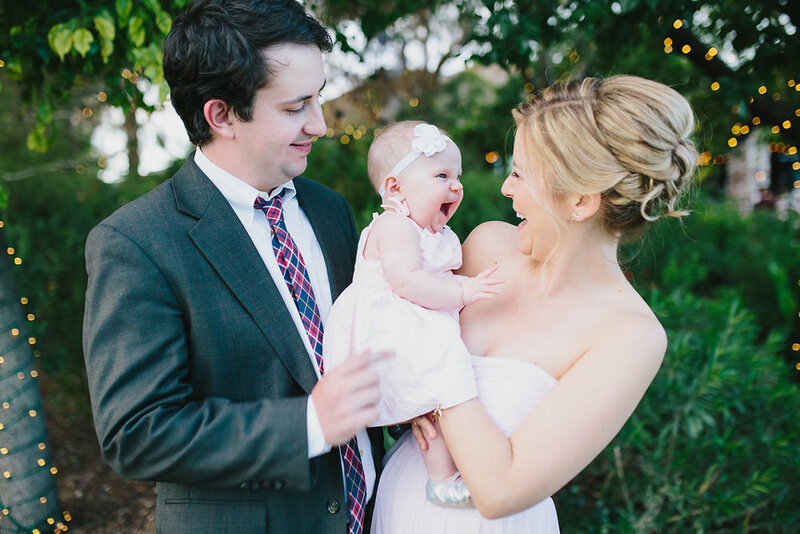 Isn't she the happiest baby you've ever seen? Cristina and Jack, you have some good genes, my friends. Congratulations on your sweet little family, and Stevie and I can't wait for your Atlanta adventure later this year!